Liverpool to win this year's Champions League tournament is proving to be an enormously popular wager with punters, and, as a result, the odds for the club to win are dropping. As of this moment, most of the major popular sports books have Liverpool at 13/1 to win, with some dropping as low as 11/1, while others are still as high as 15/1. 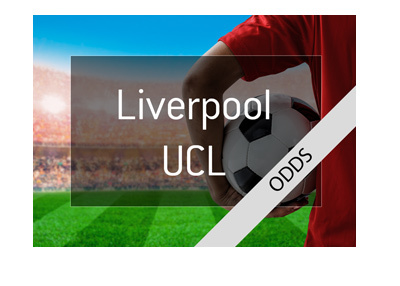 According to odds comparison site Oddschecker.com, more than 27% of the Champions League outright winner betting money has fallen on Liverpool since the quarter-finals match-ups were announced. Liverpool has drawn Manchester City in the quarter-finals, though many punters are optimistic about Liverpool's chances. Liverpool has been playing some tremendous football so far this season, as they have made it into the UCL quarterfinals and currently sit in third place in the English Premier League. If Manchester City weren't having such a magnificent season, Liverpool would have a shot at the title, as they are only two points out of second place. It is also worth mentioning that Liverpool holds a win over Manchester City this season, as they managed to defeat the league leaders by a score of 4-3 on January 14th. There is usually a team that surprises each season in Champions League, and this year punters are wagering that this team will be Liverpool. If Liverpool does manage to get by Manchester City in the quarter-finals, they will likely have to play one of Barcelona, Real Madrid or Bayern Munich next, which will certainly be no easy task. Can Liverpool keep surprising and deal Man City a loss in the quarter-finals?